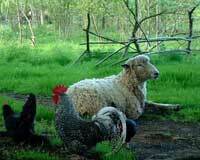 Historically Correct Livestock - Sheep, Pigs, Chickens - Historic Management Associates Ltd. 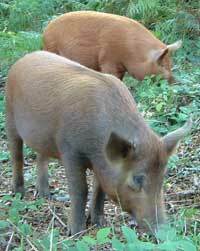 Most years we rear wild boar Tamworth cross pigs similar to medieval/renaissance stock. These supply bristles for leatherworking. Wild boar skins (with head and trotters) are also available. These are used from transport on the farm and horse hair and other products are available.